Growing up Ojibwe on a reservation in Minnesota, training as an anthropologist, and researching Native life past and present for his nonfiction and novels, David Treuer has uncovered a different narrative. Because they did not disappear–and not despite but rather because of their intense struggles to preserve their language, their traditions, their families, and their very existence–the story of American Indians since the end of the nineteenth century to the present is one of unprecedented resourcefulness and reinvention. 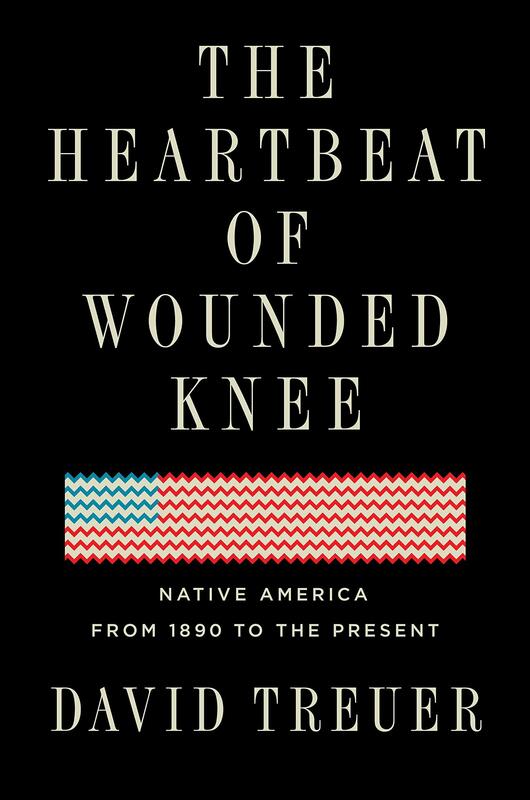 In “The Heartbeat of Wounded Knee,” Treuer melds history with reportage and memoir. Tracing the tribes’ distinctive cultures from first contact, he explores how the depredations of each era spawned new modes of survival. The devastating seizures of land gave rise to increasingly sophisticated legal and political maneuvering that put the lie to the myth that Indians don’t know or care about property. The forced assimilation of their children at government-run boarding schools incubated a unifying Native identity. Conscription in the US military and the pull of urban life brought Indians into the mainstream and modern times, even as it steered the emerging shape of self-rule and spawned a new generation of resistance. The Heartbeat of Wounded Knee is the essential, intimate story of a resilient people in a transformative era. David Treuer on Access Utah. David Treuer is Ojibwe from the Leech Lake Reservation in northern Minnesota. The author of four previous novels, most recently “Prudence,” and two books of nonfiction, he has also written for The New York Times, Los Angeles Times, Esquire, Slate, and The Washington Post, among others. He is the winner of a Pushcart Prize and a Guggenheim Fellowship, among other honors. He has a Ph.D. in anthropology and teaches literature and creative writing at the University of Southern California. Growing up in a gang in the city can be dark. Growing up Native American in a gang in Chicago is a whole different story. This book takes a trip through that unexplored part of Indian Country, an intense journey that is full of surprises, shining a light on the interior lives of people whose intellectual and emotional concerns are often overlooked. This dark, compelling, occasionally inappropriate, and often hilarious linked story collection introduces a character who defies all stereotypes about urban life and Indians. Utah State University’s Mountain West Center for Regional Studies has announced the 2018 winners of the Evans Biography Awards for books published in 2017. Author and ethnographer Rodney Frey won the Evans Handcart Award for his book Carry Forth the Stories: An Ethnographer’s Journey into Native Oral Tradition (Washington State University Press, 2017).